In the current day and age, we are experiencing what can only be called a food truck renaissance. While technically, food trucks have been around for decades, they have traditionally been very blue collar and humble in their offerings. However, in recent years, chefs and entrepreneurs have dreamed up all sorts of creative, innovative, and often gourmet culinary enterprises which center around food served from trucks or from silver bullet-shaped units known as Airstream trailers. While you’ve probably seen creative cuisine being served from an Airstream trailer, chances are you’ve never seen it done like we do at The Still. 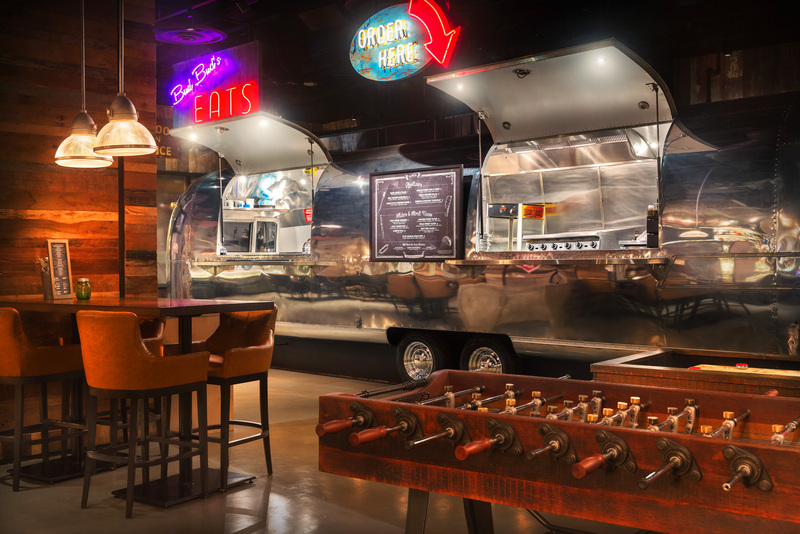 Simultaneously honoring food truck culture and offering an innovative element of functional restaurant decor, the Still has an Airstream trailer, lovingly dubbed “Bud Bud’s”, installed in its 8,000 square foot space. 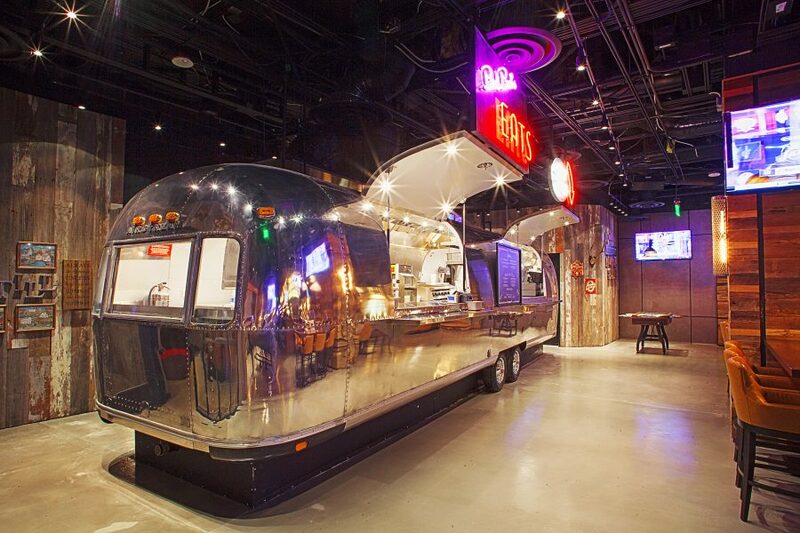 This trailer is not only cool-looking, but it actually acts as the restaurant’s kitchen. Here, we’ll talk about this unique kitchen setup, including how it works, its history, and how it makes dining at the Still a truly memorable experience. What is an Airstream trailer? See that photo at the top of the post? That’s the trailer which acts as the kitchen at The Still. It’s a particular type of trailer known as an Airstream. Airstream is an American company which makes uniquely recognizable trailers. They are characterized by a distinctive and signature rounded shape and polished aluminum outer shell. The design has remained consistent since the 1930s, when it was developed to mimic the design of Charles Lindbergh’s famed plane, The Spirit of Saint Louis. Airstream is still an active company today, producing trailers in Ohio. It has been acquired by a larger company, but the company’s work has remained consistent over the years. The Airstream is truly an American icon. The Still: a little different. The Still is not your average eatery. While the idea of upscale bar food is nothing earth shattering, the execution of the food, high level of quality, and the creative setting in which it is served sets our restaurant apart from the masses. At the center of The Still is a bustling bar, which serves over 50 craft beers. But when it comes to preparing the cuisine, it’s served out of what is considered the true heart and soul of the restaurant: Bud Bud’s, our beloved Airstream trailer. You could say that Bud Bud’s is the Little Airstream That Could. Found abandoned in the back hills of Tennessee by The Still employees, it was refurbished and turned into a fully functioning kitchen. From this trailer, Chef Jamie Russell and his well-trained team churn out the upscale bar food which realizes the dream and vision of acclaimed Chef Brian Massie, one of the partners of Clique Hospitality. Bud Bud’s is not just a kitchen. It’s also functional decor that has the power to heighten the overall customer experience. It’s a delightful novelty for customers to come in and view Bud Bud’s, but when they realize that it’s also a functioning kitchen, it adds an element of pure magic to their evening out. Slightly irreverent and completely creative, Bud Bud’s makes eating at The Still a memorable event. Cooking in an airstream trailer. It’s a reasonable enough question: how does it work, cooking out of an Airstream trailer? After all, an 8,000 square foot space which is always bustling and occasionally (particularly on game days) quite crowded is a bit different from cooking for a line of people on the sidewalk as in the case of a food truck. If you ask Chef Jamie Russell, though, it’s not about the space: it’s how you use it. Having a relatively small and contained kitchen space makes it of high importance to have a team working in tandem and to remain organized. Mise en place and teamwork matter in equal measure when working in a small space! The simplicity of the menu helps the talented chefs stay organized. Masterful cuisine. While it’s undoubtedly cool to have cuisine served out of an Airstream trailer kitchen, it’s not necessarily the visual appeal of Bud Bud’s that keeps customers coming back. It’s the food that comes out of the kitchen that keeps people coming to The Still. Our menu is relatively small, but mighty. It includes familiar game day favorites, including cheeseburgers, quesadillas, chips and dips, wings, and tacos. 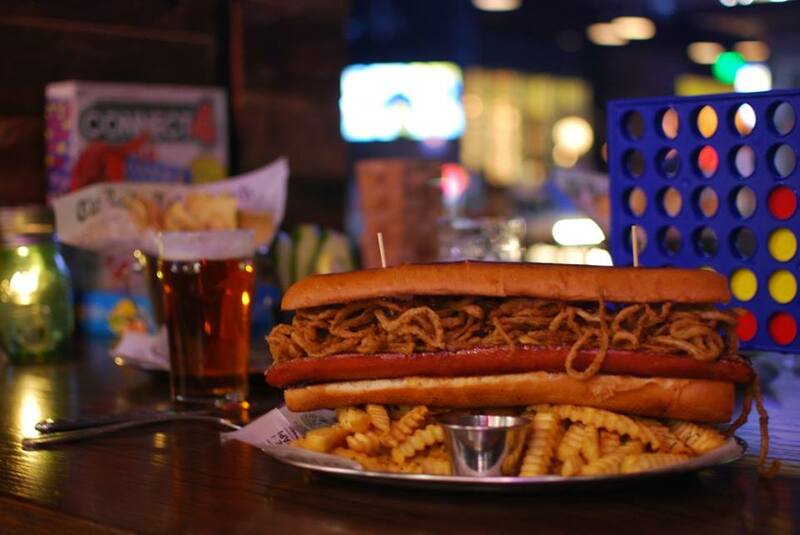 It also includes classic American fare like our chili cheese dog, lobster roll, and a grilled chicken club sandwich. But at The Still, there’s always a slightly creative spin that can make old favorites new again. Paired with our commitment to use the finest quality ingredients we possibly can, our menu will truly elevate any outing, whether it’s happy hour with friends or watching the big game on one of our many screens. And you can bet your bottom dollar we’ve got the perfect beer, wine, or cocktail option to pair with each dish. As you’ve likely gathered from this post, The Still does things a little differently. We believe that the proper setting can transform an evening out into an event. We’re doing our part to create culinary memories by crafting incredible meals, one plate at a time, served out of Bud Bud’s, our incredible and unique Airstream trailer kitchen. We hope you’ll enjoy our setup, our food, and the full experience on your next visit to The Still! Have you ever seen a unique kitchen like this before?